He goes on and on saying how there is a season (time) for everything. Regina and I have become more and more conscious of this over the last few months of living in Chiang Mai. We came here with great intentions and a long list of things we wanted to do, but quickly realized we needed to get more focused on a few things instead of spreading ourselves out over many. This blog was one of the things we wanted to spend more time on. We enjoy traveling to new places, experiencing new cultures, and meeting new people. We have done a lot of that in the last four years and have hundreds of incredible experiences we could be sharing here – especially now that we’re traveling with a little one. Not only do we have heaps of “world” knowledge but have thousands of pictures to share on here as well, but Regina and I both decided it isn’t a priority for us at this point. That is not to say we won’t make occasional posts, but it simply means it isn’t a priority for us. We never created this blog with the intention of making money with it. If we had, we’d definitely post a lot more religiously on it. It was always more of an outlet for us to give back to the nomad community and to keep our friends and families in the loop with our travels. It’s hard to blog for fun when you blog for a living. 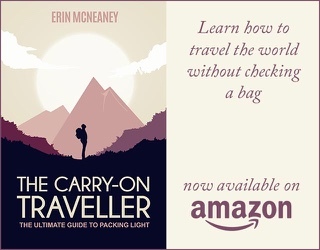 Regina has been busy focusing on her food blog (Leelalicious.com) and – without coming across as me bragging – has turned it into a very profitable business that is making this nomadic lifestyle possible for us. She has been super busy working with brands, advertisers, sponsors, etc and – between that, being an awesome wife, and a fantastic mother to our baby girl – doesn’t have much extra time to work on this blog just for the fun of it (like she used to). Neither of us has a job that we go to, but we work on our businesses very diligently. Not just because it enables us to live this nomadic lifestyle, but more so because we truly enjoy it. Regina and I decided that for the first year of both of us being 100% self employed, it is planting season. It is time to hunker down and and get work done. Or, in keeping with our analogy, it is the season of our life where we work the ground thoroughly, creating a healthy foundation that will bring about many years of bountiful harvests. As Les Brown once put it: You must be willing to do the things today others won’t do, in order to have the things tomorrow others won’t have. Don’t get us wrong. We still travel and do cool stuff on a regular basis. In fact, we took a short vacation to Cambodia in October, just came back from a couple day outing in Kuala Lumpur, and are planning to visit the Krabi islands again in January. 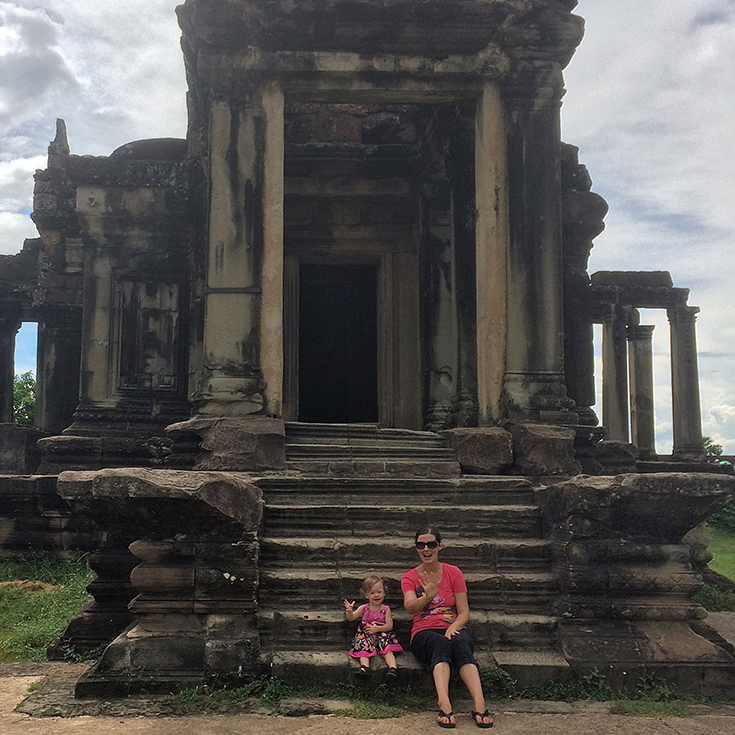 My girls waving at me while visiting Angkor Wat in Siem Reap, Cambodia. 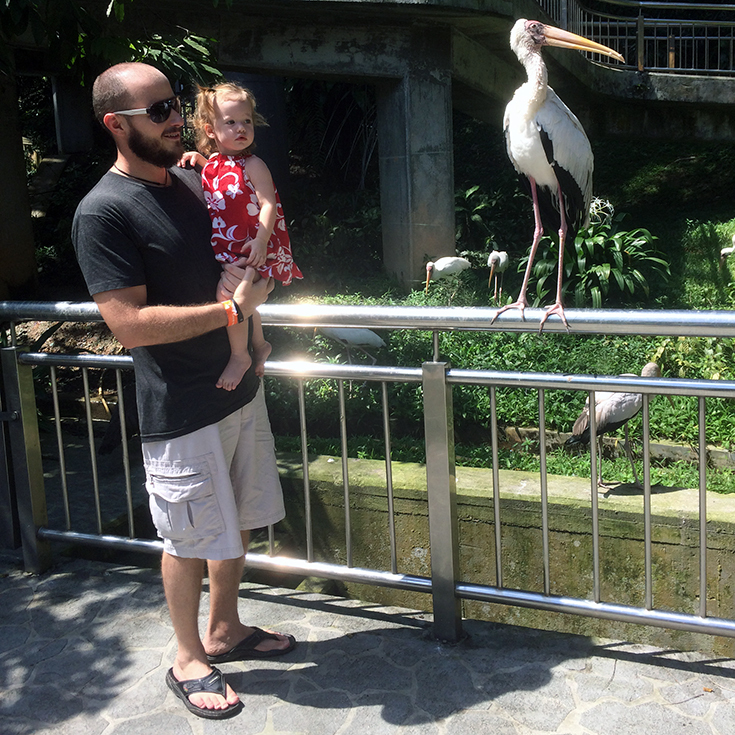 Olivia and myself at Bird Park in Kuala Lumpur, Malaysia. Not to brag, but that is a lot more international vacationing in six months than any of our friends back home got in all year. Just because you don’t hear from us regularly on here does not mean we stopped traveling. It just means something else has our undivided attention for the time being. When that changes, you will hear from us again. This blog gets quite a bit of search engine traffic so – who knows – maybe one day we will decide to work more consistently on it again. Until then, join our facebook group that we are a BIT more active on, share your travels with us, and be sure to ask questions. We always respond as quickly as possible.